Students at P2A4 are sorted into one of four Courts, which have long-running rivalries with one another. Each Court is named for one of the four founders of the school–Bradford, Hutchinson, Morton, and Williams. Staff members award points to students for homework, good behavior, and responsible actions, and take them away for rules infractions and poor behavior. Professors serve as Court Monitors, while Counselors (most of them very recent P2A4 alumni) act as Court Presidents. The four Courts are loosely themed around the four seasons, though they are never referred to as seasonal courts. The students of Bradford Court dedicate themselves to knowledge, to planning, and to careful consideration. They are seekers of deeper truths, rarely satisfied with simple answers. They believe in strength through tradition and history, and pride themselves on lineage, both genetic and pedagogical. Even the mundane-born students of Bradford Court often map out their own genealogy, embracing their familial histories and origins. Academically, Bradford Court is known for excelling in divination and magical combat–two distinct fields they often see as intersecting. Both deal with questions of the future, of planning, of anticipation, and with looking for deep truths about the nature of reality. 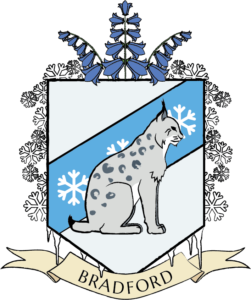 When it comes to combat, Bradford students love resurrecting historical dueling styles, and many focus on classical elemental combat, wielding fire and ice to both shield and attack. Many students of Bradford excel at abstract philosophies and magical theory, spending long hours studying and debating topics most would consider obscure or arcane. Bradford students also often specialize in magical communication, projection, and teleportation. At the heart of Hutchinson Court is the idea that nothing is above questioning and reconsidering. Anne Hutchinson, for whom the Court is named, believed strongly that true progress can only come from structural change, which begins with questioning existing structures of power. Iconoclasts, radicals, and those who work to change systems from within all find a home in Hutchinson Court. Just as important to Hutchinson Court, though, is the idea of rebirth. Dismantling institutions is important, but so too is replacing them with newer and better ideas, rather than letting chaos and anarchy reign. When it comes to academia, students of Hutchinson Court are masters of alchemy and healing, two arts that seek change and regeneration through understanding. Students study bioenergies, herbology, rituals, and the balance of the physical and metaphysical body. 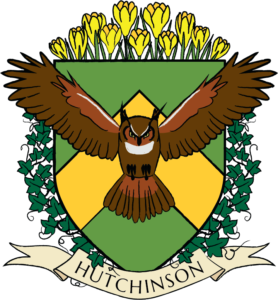 In alchemy, Hutchinson students are known for their focus on transmutation, using rituals and potions to change matter itself into new forms. Hutchinson Court has a longstanding tradition of transmutation challenges–older students giving younger ones two objects, and tasking them to figure out how to turn one into the other. In his life, Roger Williams dedicated himself to understanding both the world around him and the people who inhabited it. The Court that bears his name carries on that tradition, emphasizing cooperation, communication, and inclusivity. 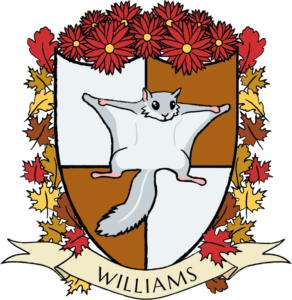 Williams Court prides itself on including diverse viewpoints and perspectives, as William believed that one person can only understand as far as they can see, but many voices together can describe a world. As such, Williams Court winds up being the Court that attracts those who might stand out elsewhere–transfer students, students with special abilities, students from abroad, and so on. Students of Williams Court put their efforts academically into understanding magical traditions of all kinds. They study mystical arts ranging from the kabbalistic and Goetic to the practices of the Wampanoag and Lenape nations. Williams students make use of runes, sigils, and glyphs to reveal truths, fashion wards, and enhance their powers. Most members of Williams Court wind up developing their own runic alphabet by the time they graduate. In more practical areas, Williams students often make excellent cursebreakers, understanding and analyzing curses and hexes before deconstructing them. Some Williams students engage in Evocation, summoning creatures from beyond the physical world to communicate with them and seek to understand their worlds. Morton Court is the home of experimenters, explorers, and those willing to take dangerous risks. Mortonians are known for throwing caution to the wind and are always open to trying anything at least once. Many Morton students have achieved great success and made fabulous innovations, but the Court’s methodology of trial and error has also led to some notorious school accidents. The Court’s motto–Never The Same Mistake Twice–is tongue-in-cheek, but also true. Morton Court values mistakes highly, seeing failure as a vital step in the process of learning and discovery. Morton Court students are known for not taking themselves too seriously, and often enjoy poking at the other Courts for being (in their view) too stuffy and pretentious. This goes hand in hand with the Court’s long history of elaborate and melodramatic pranks, dating back to the Court’s founder, Thomas Morton, the Lord of Misrule. To Morton Court students, no one is off-limits as a prank target–other Courts, fellow Mortonians, and even faculty and staff. Of course, good pranks are always good-natured, and if a prank crosses the line into malicious, the rest of the Court will frown on that prankster for poor form. The tradition of pranking, however, does not mean Mortonians are academic slackers. They do nothing by halves, and that includes their schoolwork. 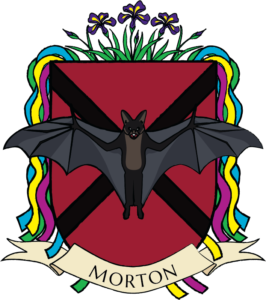 Morton Court tends to attract artificiers and cryptozoologists–those willing to experiment to build new things and take risks attempting to find and befriend (or harvest) dangerous creatures.